This time last year I was studying abroad in China. I was so excited to be in Asia for the first time that my body was in complete sensory overload. Everything was different, new and exciting, and I wanted to absorb all of it. 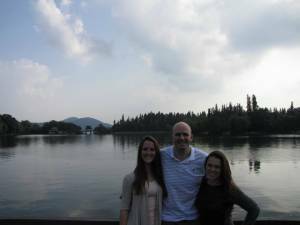 In China, I had a professor who, in just a month’s time, became a mentor and a friend. It was evident, to the 24 of us on the trip, that Professor Mulcahy was filled with the most contagious sense of adventure and life. Everything he seemed to say became this life-changing piece of advice that a year later I find myself referring back to.